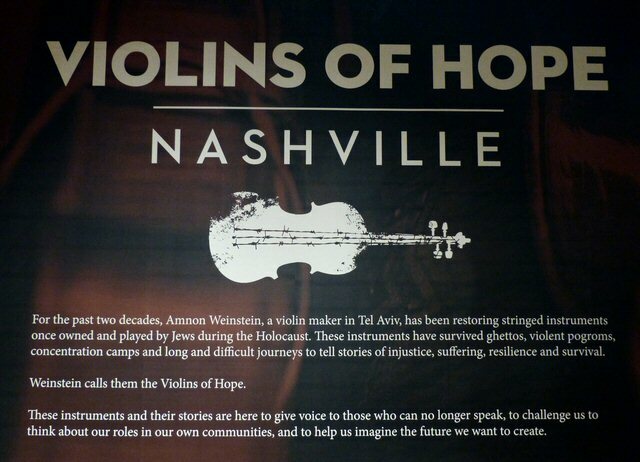 The Violins of Hope are a collection of 32 restored instruments that were played by Jewish musicians during The Holocaust (1933-1945). 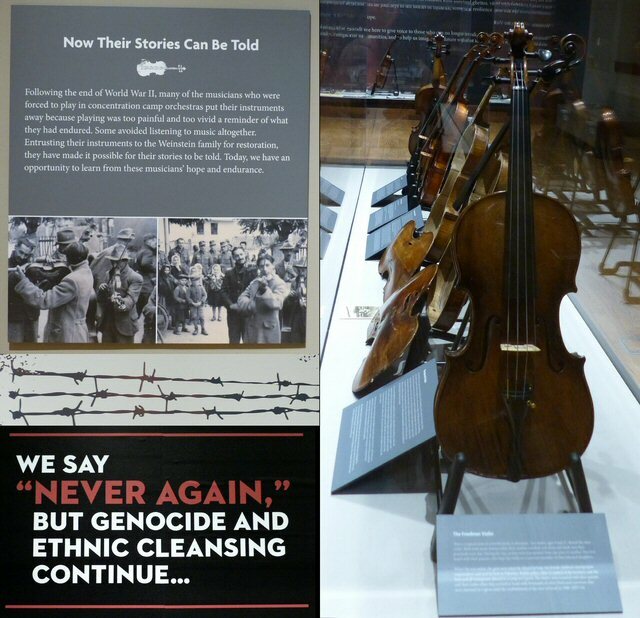 These violins have survived concentration camps, pogroms and many long journeys to tell remarkable stories of injustice, suffering, resilience and survival. The Violins of Hope can be seen March 26-April 9 and April 15-May 27, 2018 at the Main Public Library located at 615 Church Street in downtown Nashville, TN. In addition, the Nashville Symphony has partnered with more than two dozen local groups and organizations on a community-wide series of events around these instruments and the issue of social injustice. The free exhibit at the Library is one program. The Frist Center For Visual Arts is featuring We Shall Overcome Civil Rights and the Nashville Press, 1957-1968 through October 2018. Guerrero of the Nashville Symphony conducted a number of special concerts March 22-24 with Verdi’s Requiem scheduled for May 31-June 02, 2018 at the Schermerhorn Symphony Center. 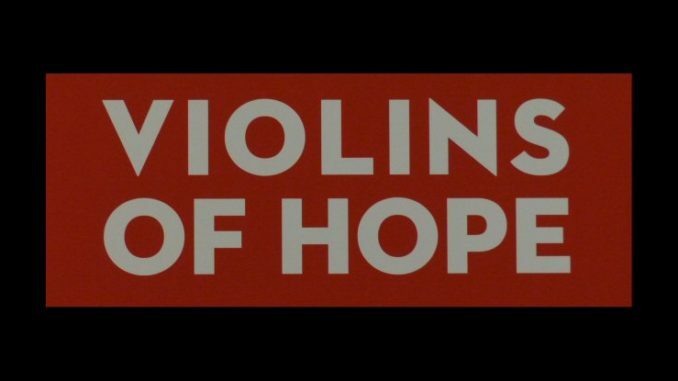 In late March we visited the lovingly restored Violins of Hope. Their stories are heartbreaking but need to be heard as mass murder has not ended with the horrors of the Holocaust. One of the panels at the Library listed modern day massacres as a sad reminder that humanity despite all our advances still has to learn to overcome bigotry and hatred in hopes of building a better world for future generations.